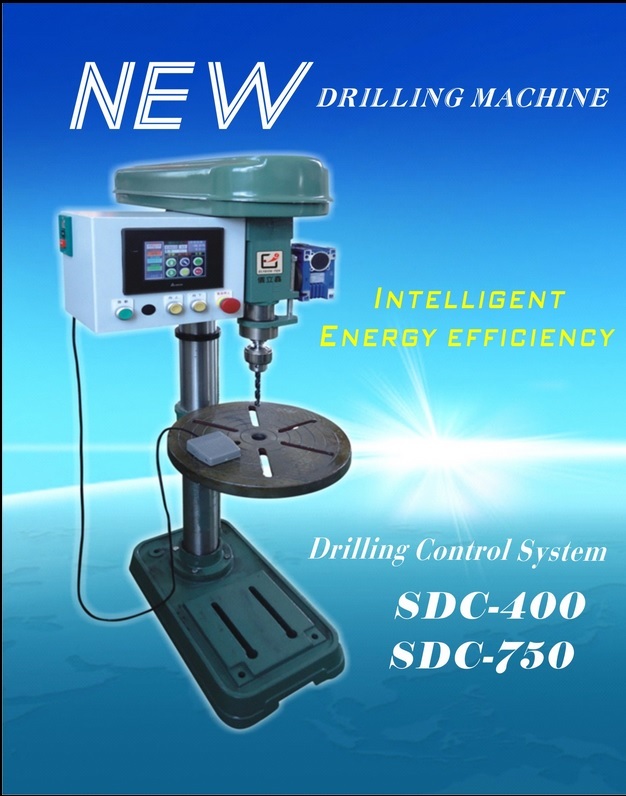 ELYSION-TEK has developed the intelligent servo drilling control system with high energy efficiency for you. With the user-friendly touch panel, you can easily control feeding position and tool return timing to achieve high repeatitive accuracy and enhance machining performance. This advanced control system has 20% more in life-elongation of drill bites, and also has 50% more in electricity-saving compared than traditional machines. When in use, the machine can auto adjust to the optimum speed in accordance with the defferent material hardness and the size of holes drilling. Even more, with its dynamic range of product application, the drilling control system is available to be designed and manufactured as any type of professional machines. Adhere to our philosophy in customer-oriented service, what we are providing you is the convenience of intergrated mechanical and technological advancement of today. l PLC control. It allows for multiple operation settings. l Various operation patterns: Standard drill, Double drill, Stepping drill, Peck drill, Chipbreaker drill, etc. l It allows for a selection of manual or automatic drilling mode, and also allows for equal or unequal holes distance. l Automatically decelerate: It can quickly adjust to the optimum machine speed to extend the life of drilling tools. l It’s equipped with a touch panel that allows you easily to operate and program. l Error display function intelligent detector system: When the machine detects abnormal condition, the machine will stop promptly and the monitor will display error message. l Re-positioning: Machine continuous auto operation from any positions. l It is available to design and manufacture in any type of professional machines to reach every requirement.